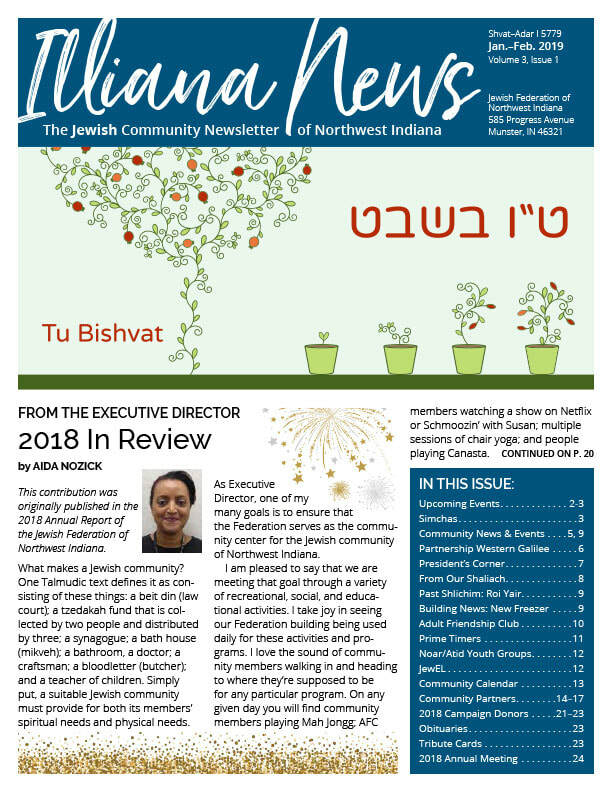 Click the front cover to read the complete newsletter (PDF). 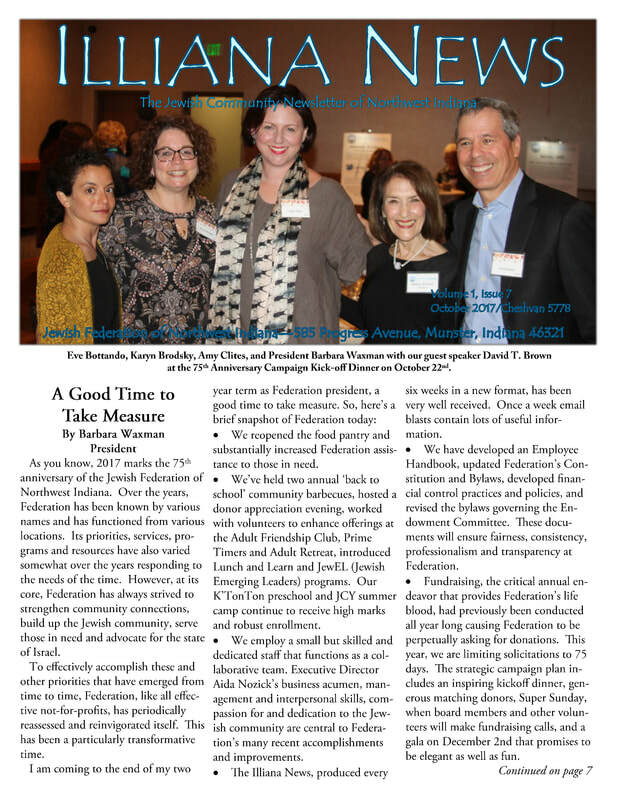 Could your business or organization use a boost? 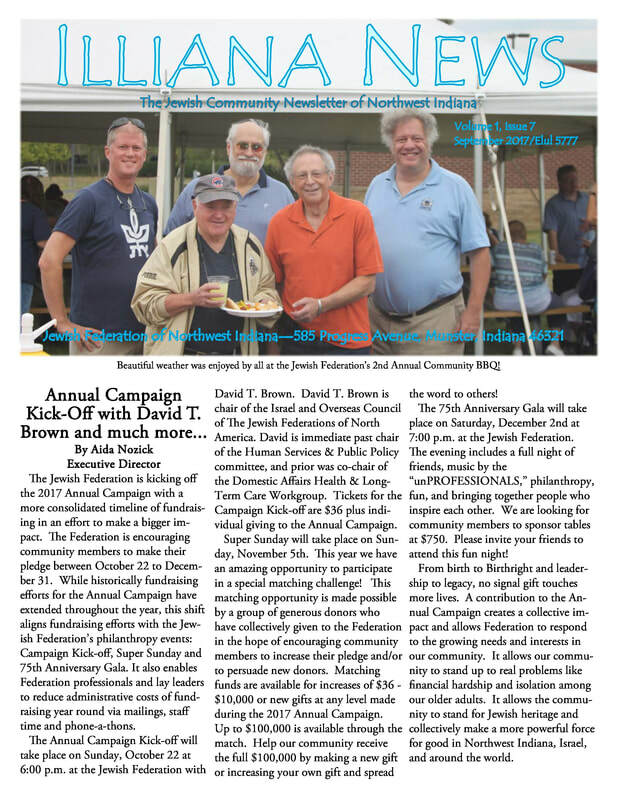 Would you like to support the Federation at the same time? 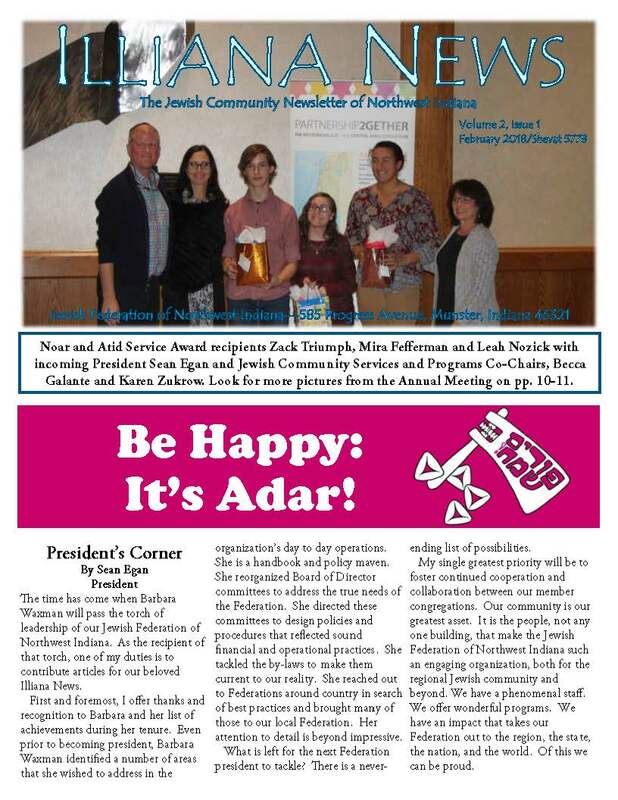 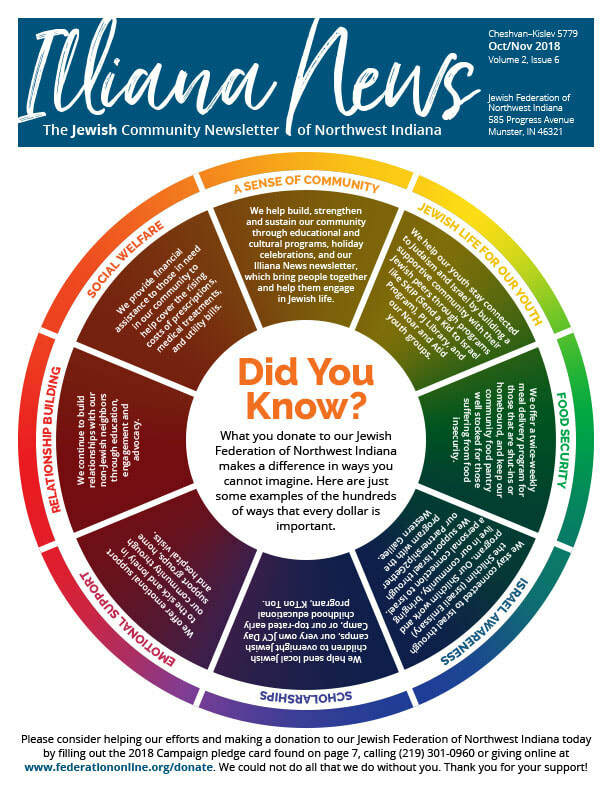 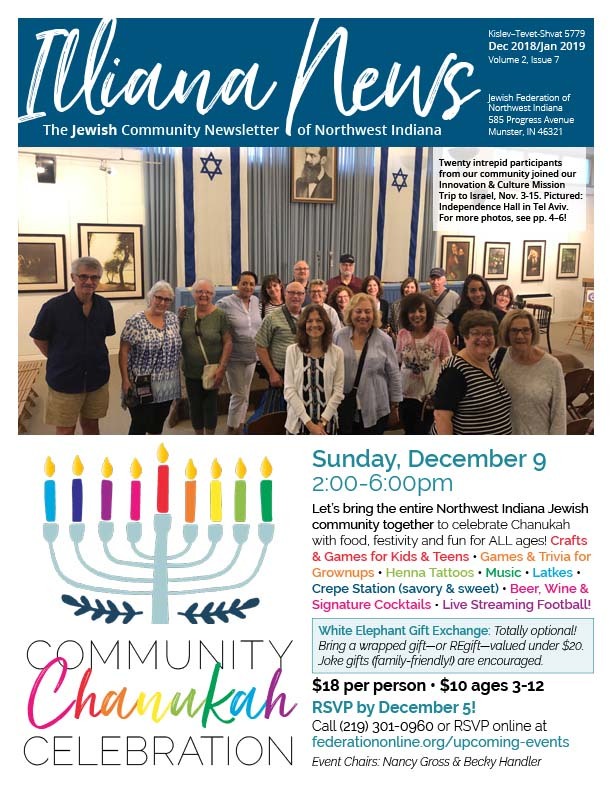 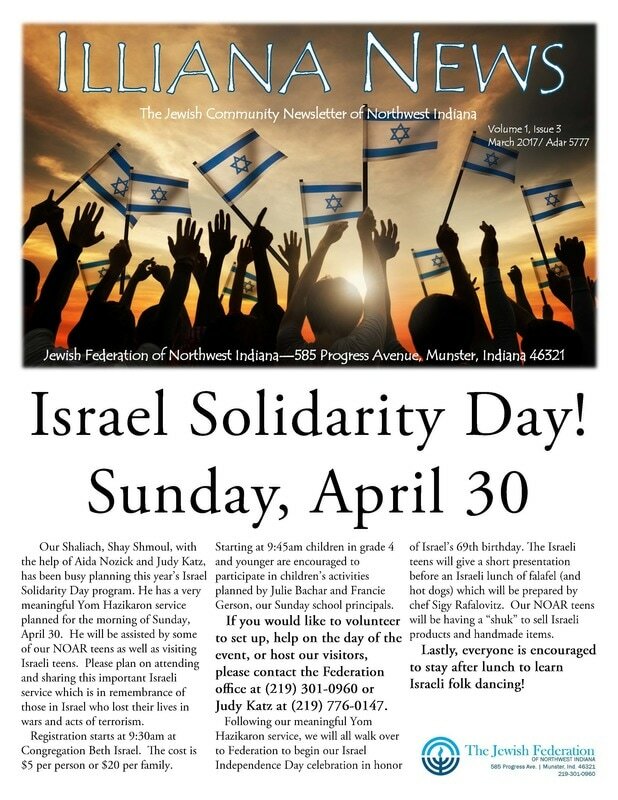 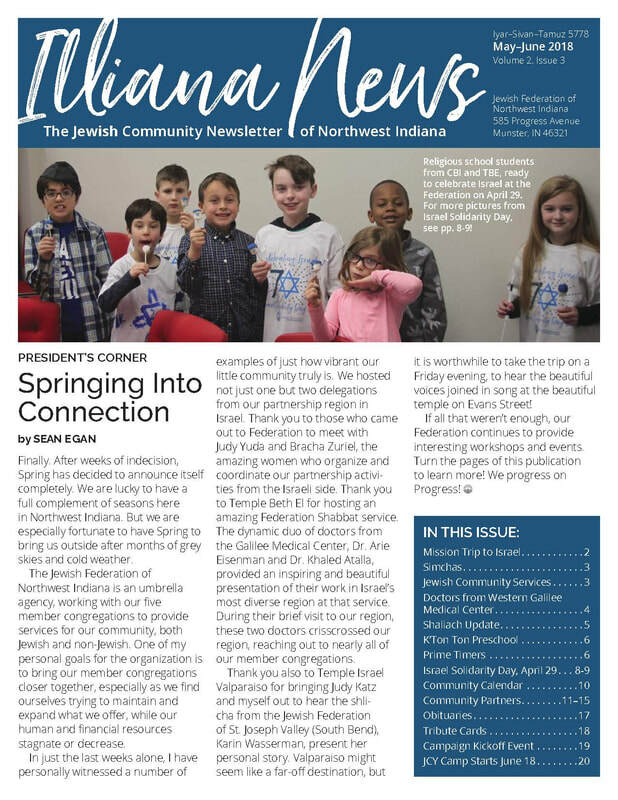 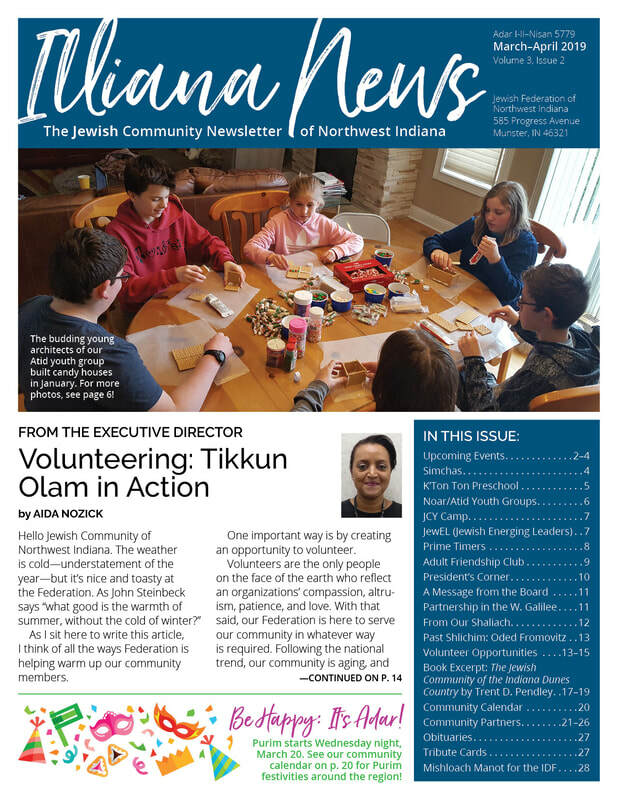 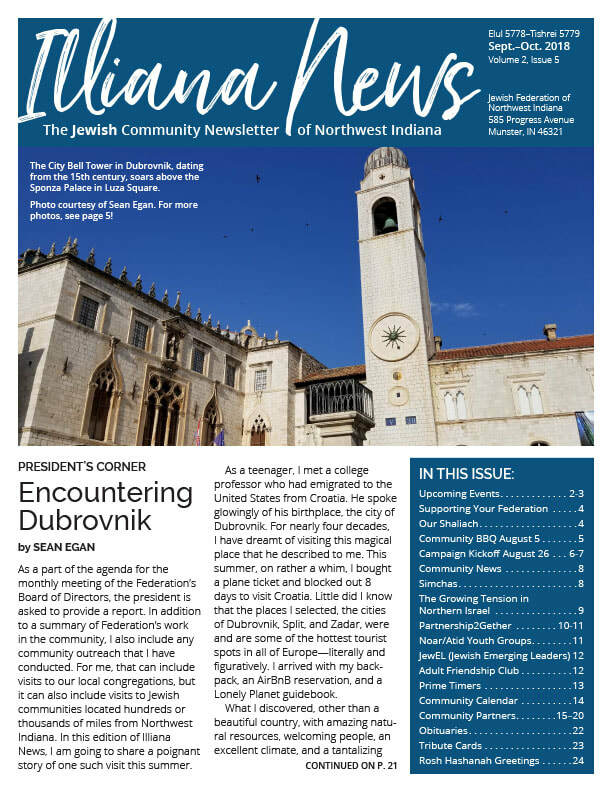 Illiana News, the Jewish community newsletter of Northwest Indiana, is published 7–8 times per year with an audience reach of over 900 households. 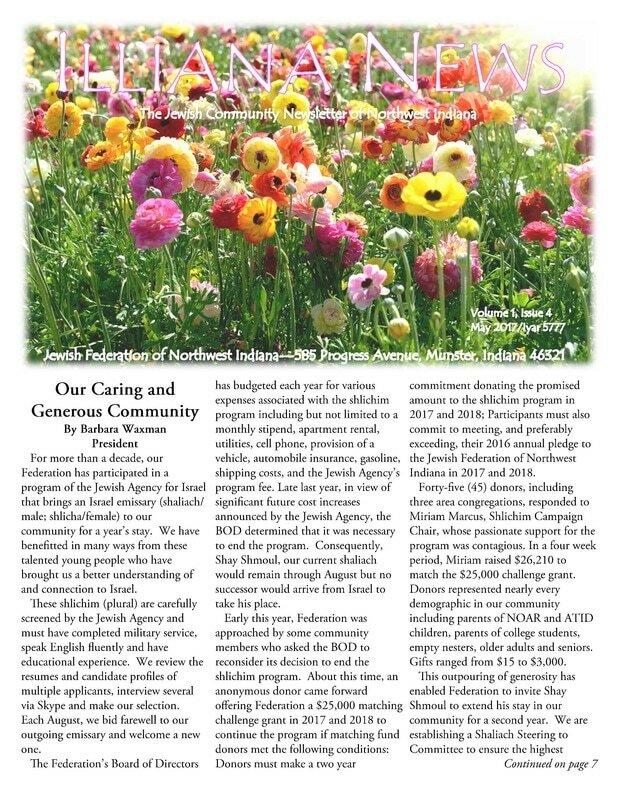 All ads are published in FULL COLOR. 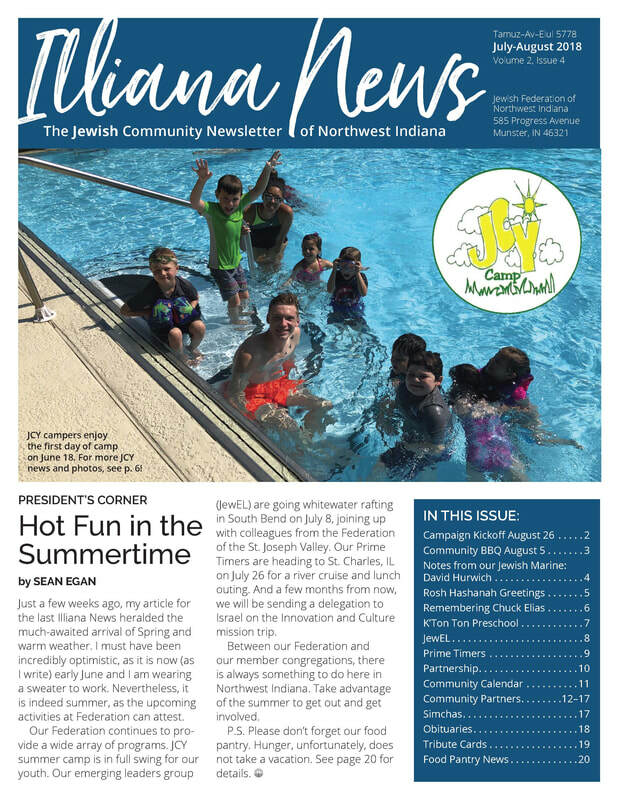 We offer size options for every budget, with one-time placements or multi-issue (discounted) packages. 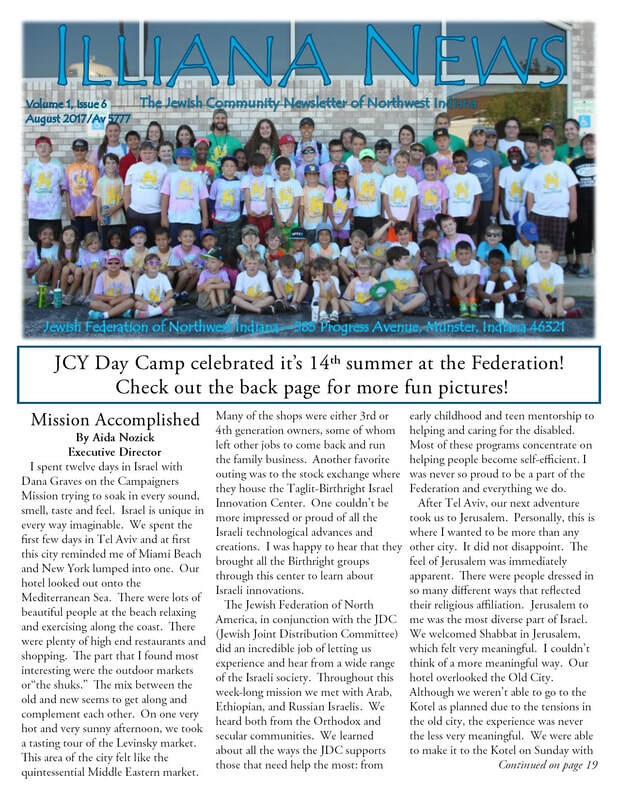 Camera-ready graphics may be supplied as PDF or JPEG. 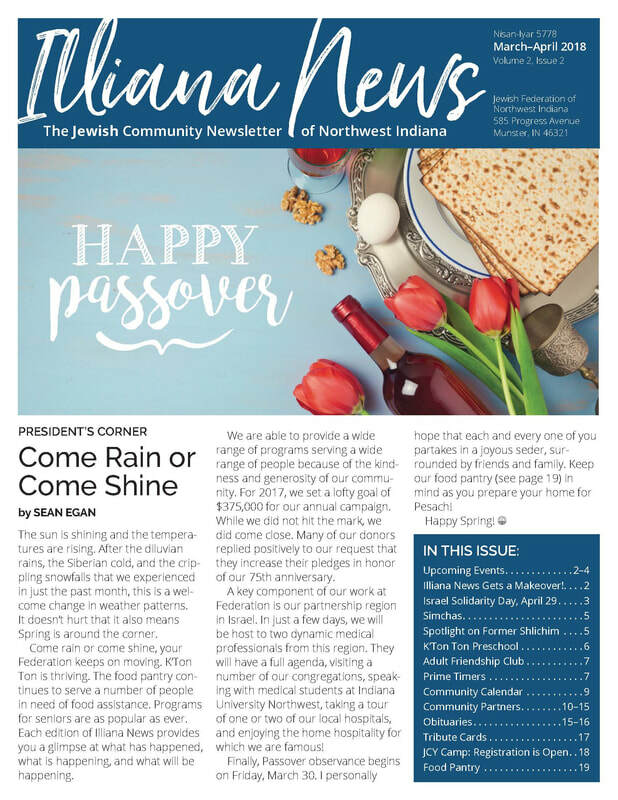 Don’t have an ad prepared? 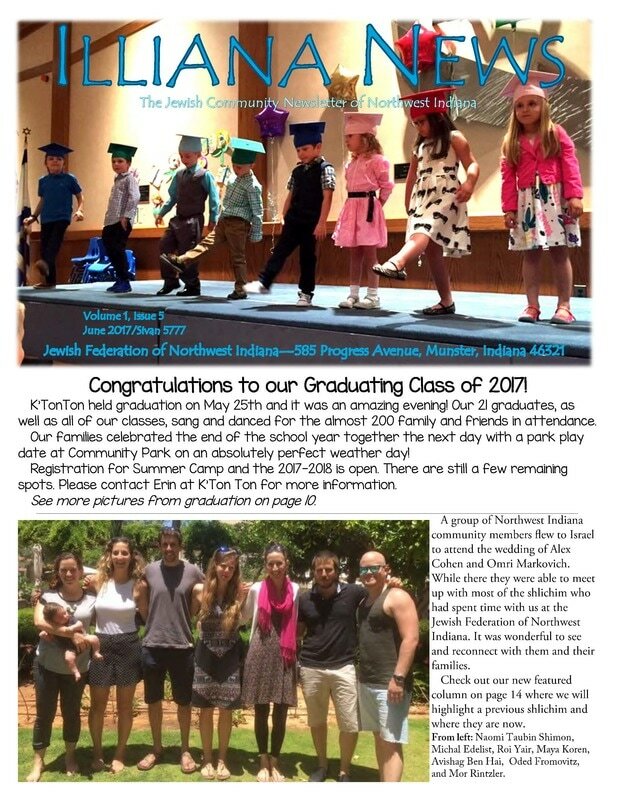 Send your text and logo and let our professional designer create something for you at NO additional charge! 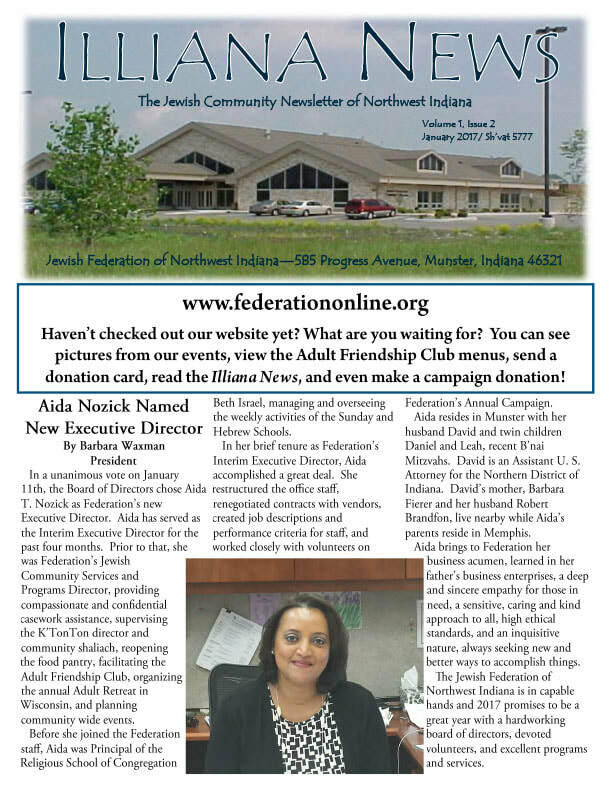 To reserve your ad space for the next issue, contact Erica Yakovetz at (219) 301-0960 or erica@federationonline.org. 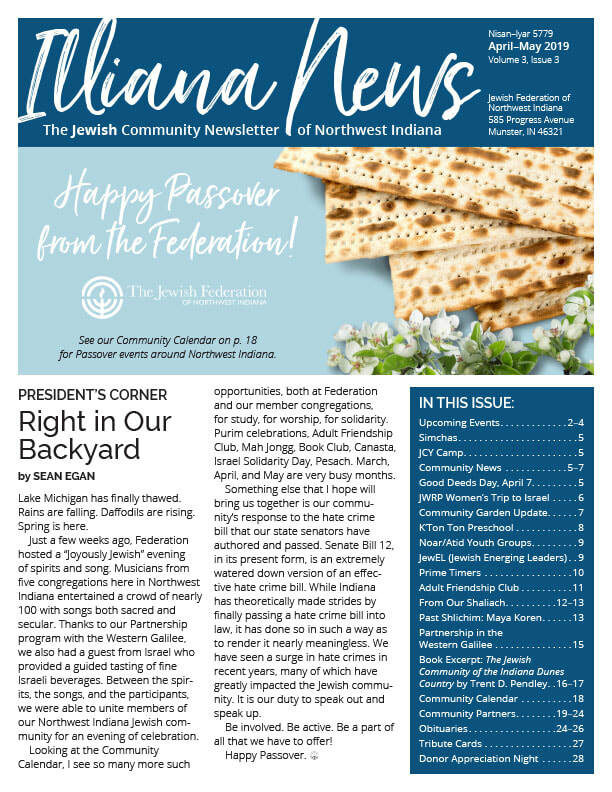 Deadline for the Shavuot (May/June) issue is May 13, 2019!